We at Tischer are very excited to announce the much-anticipated 2015 Acura TLX has finally arrived at our dealership. After several days of being able to check out this premier vehicle both inside and out, we’re more than thrilled with what we’ve seen. This model is already being hailed as “an attractive, technologically-advanced package that’s a compelling alternative to the segment stalwarts” by auto industry experts. Indeed, Acura set out to create a sports-sedan that would set an industry benchmark in the sports-sedan segment, and they have definitely accomplished that goal with the TLX! With a host of new features and technologies, and many returning exceptional Acura features, we think this latest model has something Acura enthusiasts will be thrilled with, too. The TLX is the successor to the TL. The TLX is the newest member of Acura’s re-envisioned performance-luxury sedan lineup. Available trims include the TLX, TLX V-6, and TLX SH-AWD with available Technology and/or Advanced packages. The TLX features two new, high-output direct-injected i-VTEC engines and two advanced new transmissions including the world’s first Dual Clutch Transmission with torque converter. 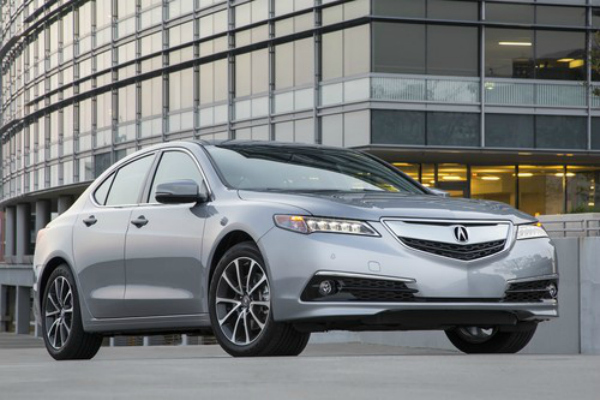 The TLX features the latest versions of Acura’s precision-handling technologies. The TLX has an all-new body and chassis design featuring the next generation Advanced Compatibility Engineering (ACE) body structure. The TLX is built from advanced lightweight materials that reduce weight while maintaining performance and safety. The TLX is the most dynamically advanced Acura ever. All three trims carry a long list of standard and available features. 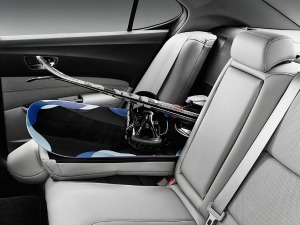 The TLX has a new 60/40-split folding rear seatback and a new trunk design that has a wider and deeper opening, lower lift-over height, fully flat cargo floor, and two new optional under floor storage compartments—all of which lend to improved cargo capacity! 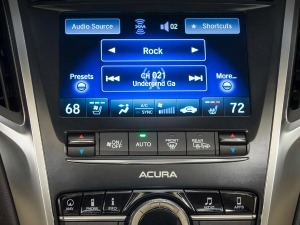 The TLX offers the next-generation of AcuraLink® technology (Acura’s cloud-based and car-embedded connected car system) such as Siri Eyes-Free technology that when paired with a compatible iPhone, allows the driver to use the features of Siri using familiar voice commands. 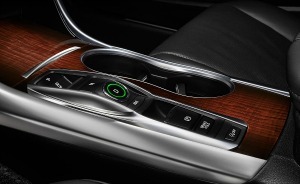 The TLX 3.5 liter V-6 trim has the all-new Electronic Gear Selector which utilizes an intuitive push-button array in place of a traditional gear lever. The TLX SH-AWD trim has a model-exclusive idle-stop capability for improved fuel efficiency. 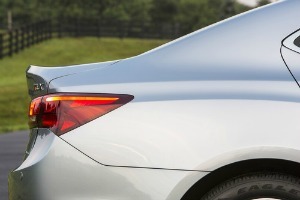 New camera and radar technologies are used in the TLX to advance Acura’s safety systems. A new Road Departure Mitigation (RDM) system in the TLX (available in the Advance Package) uses the new camera and radar technology to recognize painted lines, Botts’ Dots, and Cat Eye markers to determine lane boundaries when driving. New Motion-Adaptive Electronic Power Steering technology in the TLX assists with more precise driving and responsiveness. To significantly reduce the intrusion of wind, road and engine noise into the cabin, air paths were reduced by a whopping 50% in the TLX (compared to the TL) via special attention and detail paid to TLX body sealing. The TLX is the first Acura model to utilize acoustic spray foam. That certainly is an impressive list of new technologies and Acura “firsts”! 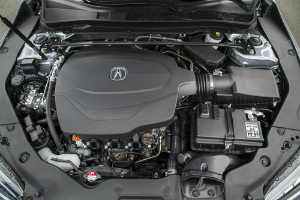 If you’d like more in-depth reports, Acura has provided extensive details on the 2015 TLX powertrain, body, chassis, and interior. Don’t forget to check out the thrilling photos of the 2015 Acura TLX in this special e-brochure. If you like what you’ve read and seen in the photos, we invite you to come down to the dealership and test drive the all-new 2015 TLX sports-sedan. 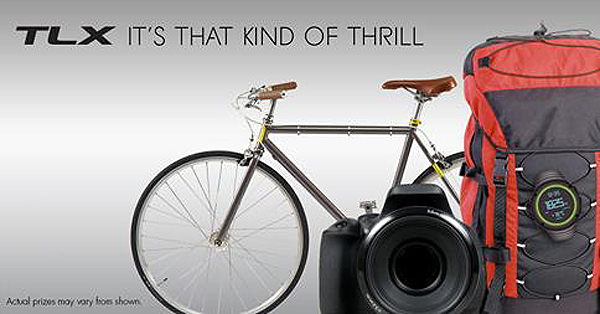 We’re confident you’ll love the combination of sport handling and luxurious refinement!